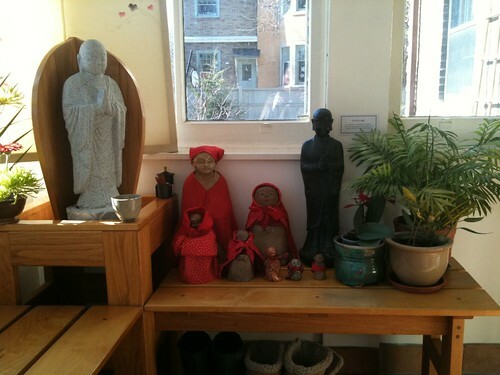 Jizo altar at the Toronto Zen Centre, originally uploaded by mendel. In summer, these small figures of Jizo bodhisattva live in the garden. In winter, they come in to join the Jizo altar (at left) in the Zen centre's entrance room. The red aprons and hoods were made at the Jizo ceremony last summer, in remembrance of lost children.